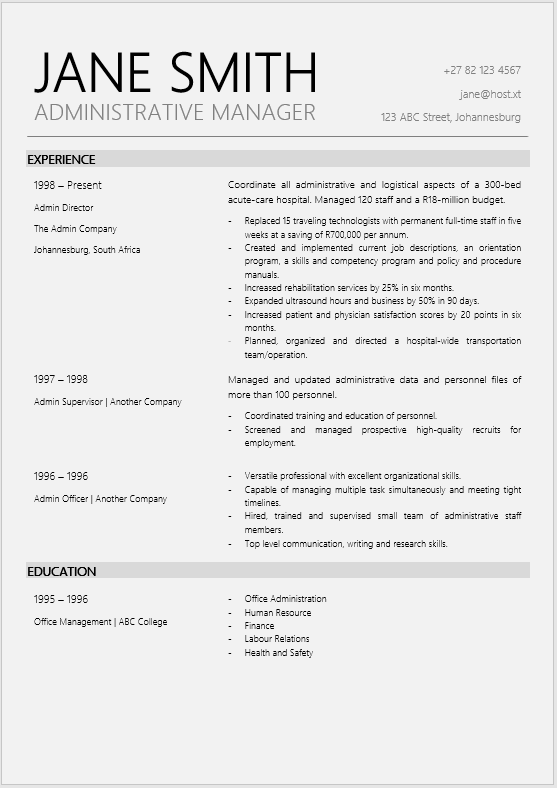 Administrative Manager duties: Accomplishes staff results by communicating job expectations; planning, monitoring, and appraising job results; coaching, counseling, and disciplining employees; initiating, coordinating, and enforcing systems, policies, and procedures. 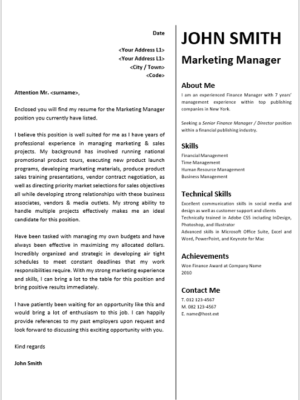 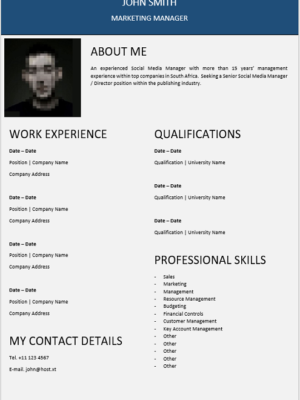 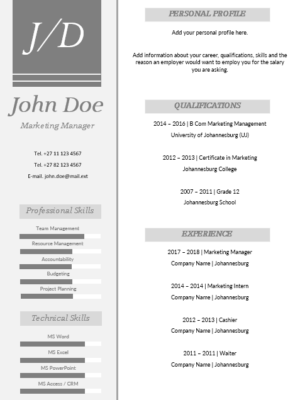 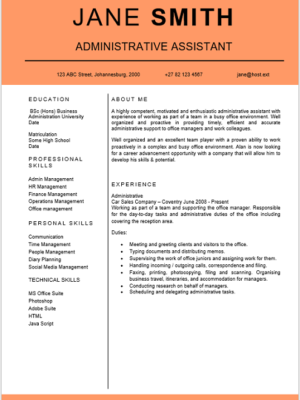 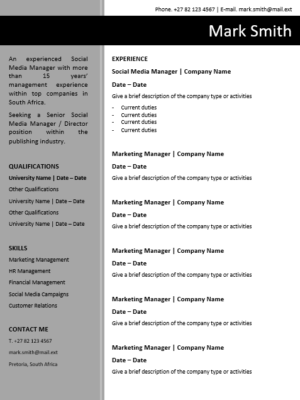 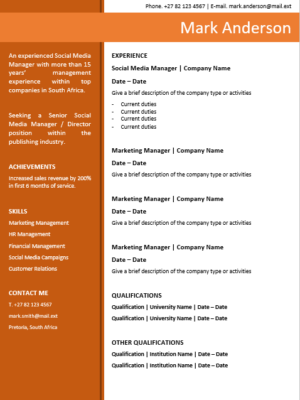 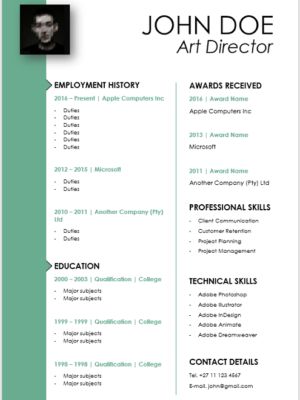 This CV is ideal for an Admin Manager seeking new employment or wanting to change employers. 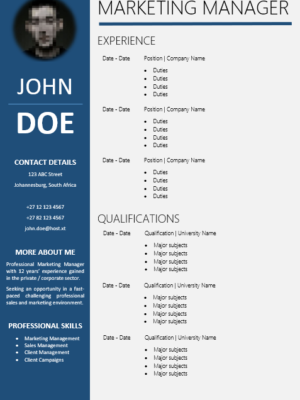 You might even want to use it to market your skills and accomplishments.